What it’s like to divorce after a long marriage. Why gray divorce is a current trend with boomers. How online dating is feeding into the trend of gray divorce. How there’s more freedom for women because more are in the workforce and are entrepreneurs. 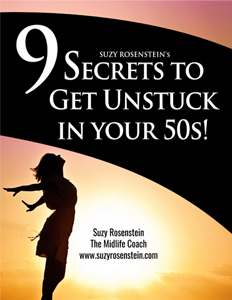 How there is a lot of surprising possibilities for women after a divorce. Why the thought, “I’m not good with numbers” won’t help you when you need to increase your financial literacy. How women can eventually feel empowered when they learn more about their finances. How it is possible to see the light at the end of the tunnel, even at our age. How discussions about the finances associated with kids are still relevant with gray divorce. 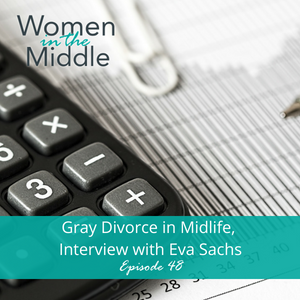 Today’s guest episode is going to help us understand a common life circumstance for women in the middle, midlife divorce. Our Women in the Middle Weekly WOW guest is a Certified Divorce Financial Analyst and founder of Divorce Financial Consulting in Toronto, Ontario, Canada. She’s also the co-author of the book, When Harry Left Sally, Finding Your Way Through Grey Divorce. Gray divorce is a phrase used to describe people who are separating or contemplating divorce after being married for approximately 30 years or more and are typically over 50 years old. Stats tell us that gray divorce is a growing demographic; online dating, more women working, less stigma and things like this are contributing to this reality. Eva tells us why. It’s not strictly money that’s perceived as a problem, but all of the issues that money represents. There are a lot of myths related to separation and divorce. One thing’s for sure: It’s time to get informed. Eva helps women tap into their confidence again and see a light at the end of the tunnel.